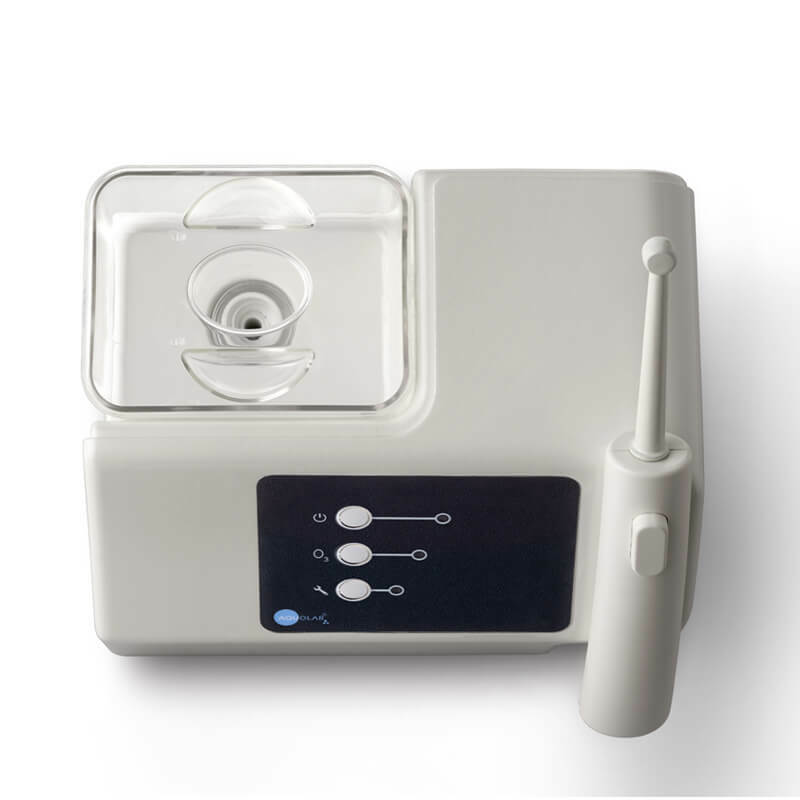 Designed for the daily oral hygiene of adults and children, it has the same features and functions of the Professional version, with simplified controls. 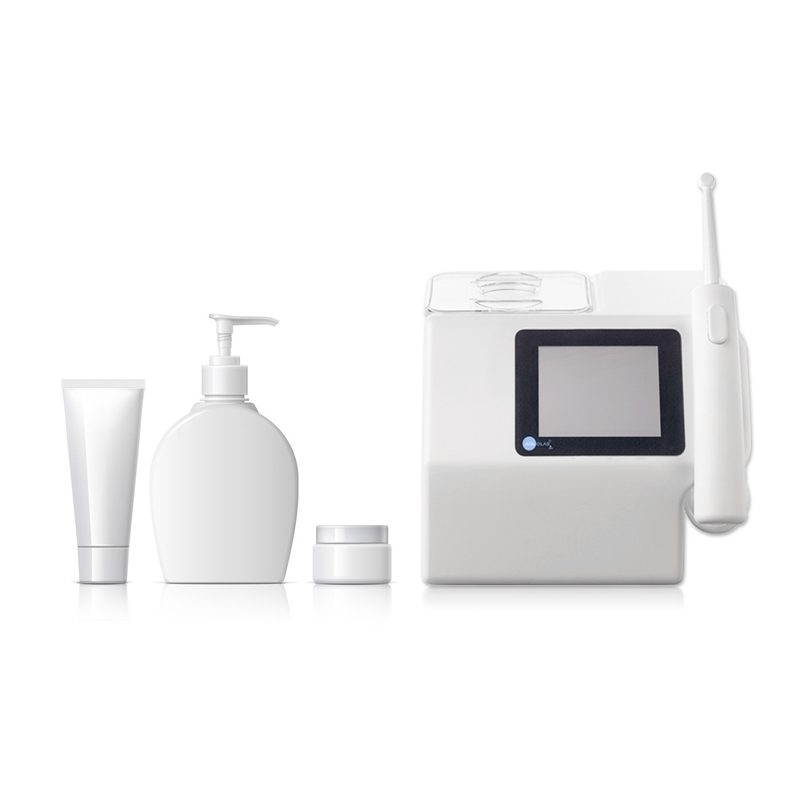 Ideal for those who look at the essential without renouncing to professional quality in the care of their teeth and gums. 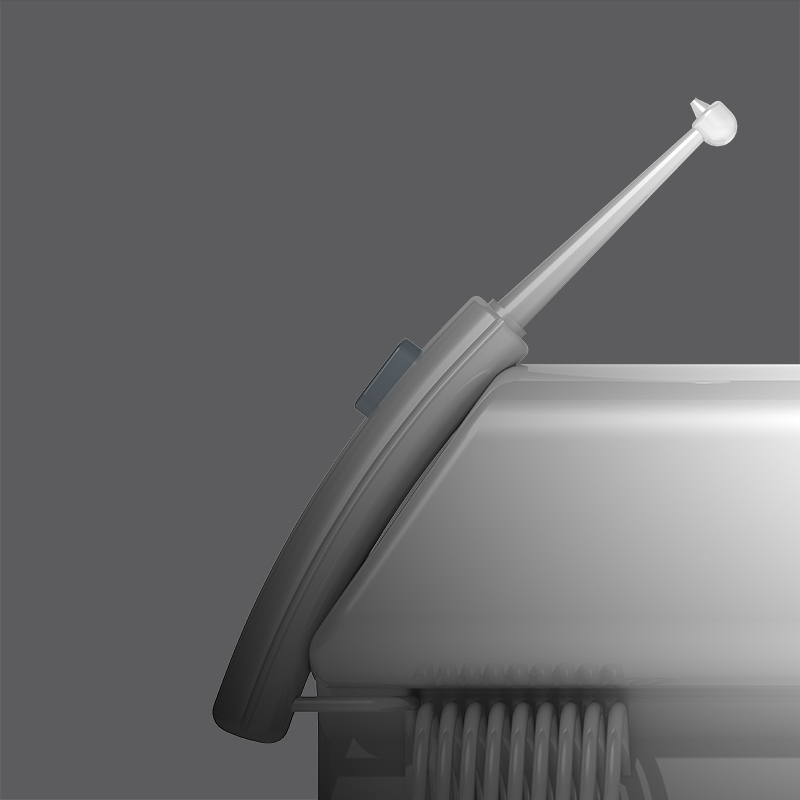 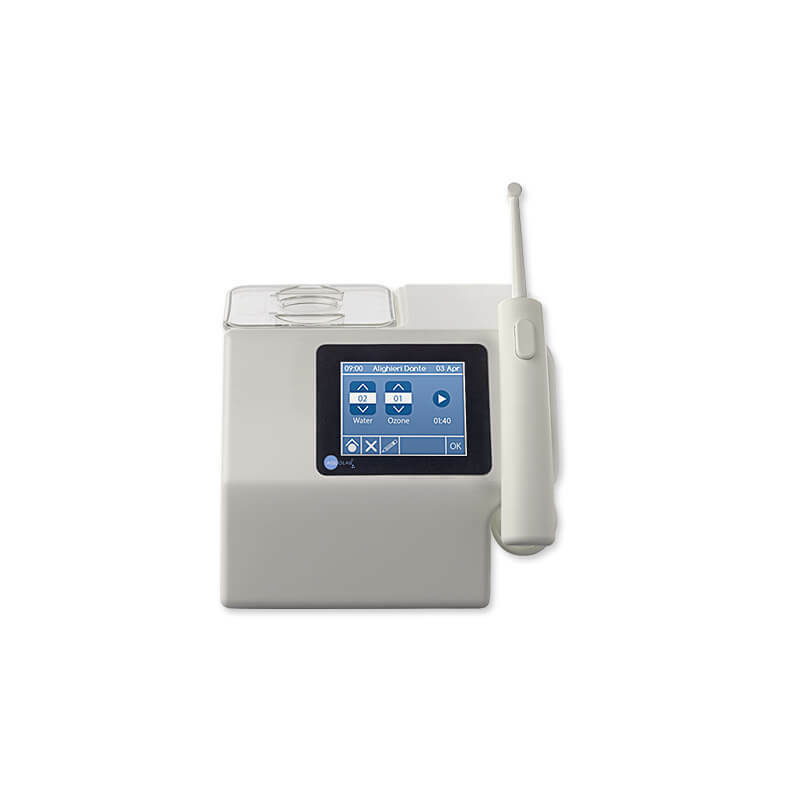 Aquolab is a class 1 medical device fit and certified for use at home. 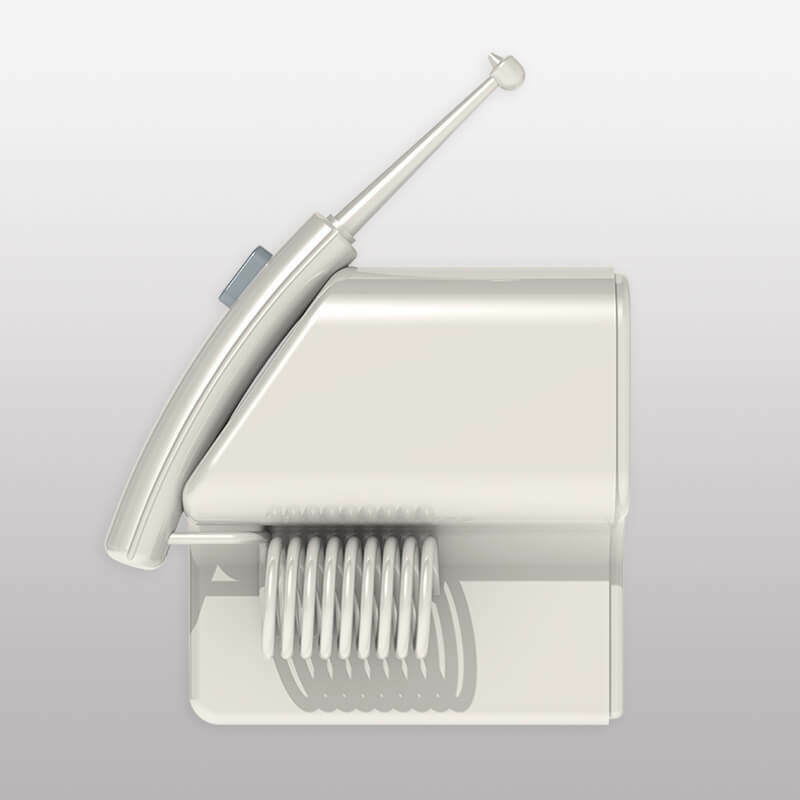 The different levels of water and ozone according to the two types of nozzles provided, allow, also at home, to obtain the perfect combination for each member of the family based on their age, oral health and possible diseases. 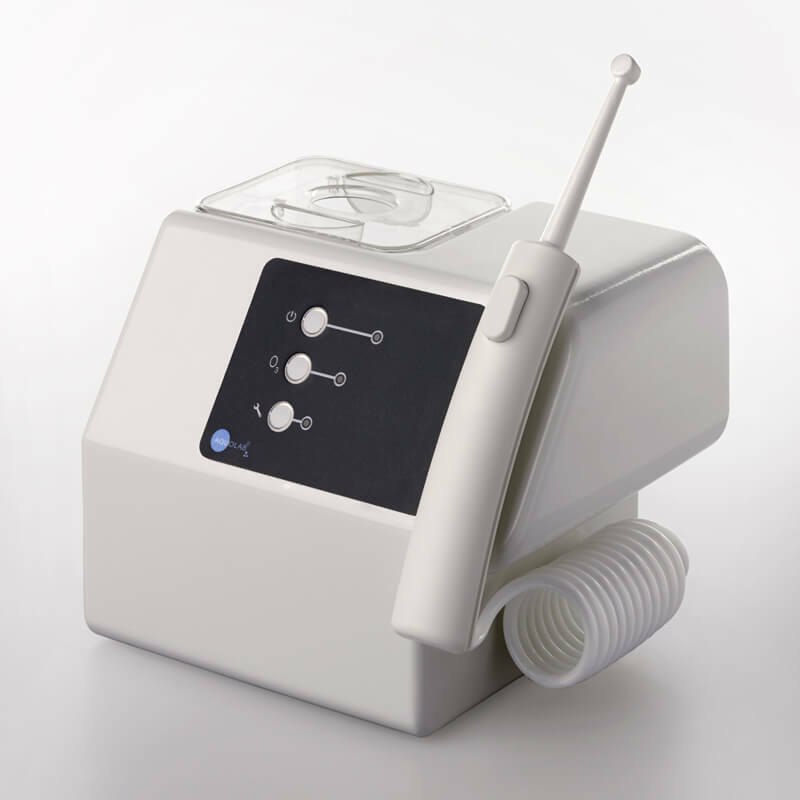 The different levels of ozone produced by Aquolab are absolutely harmless and specifically adjusted to ensure only specific disinfecting and anti-oxidising beneficial effects. 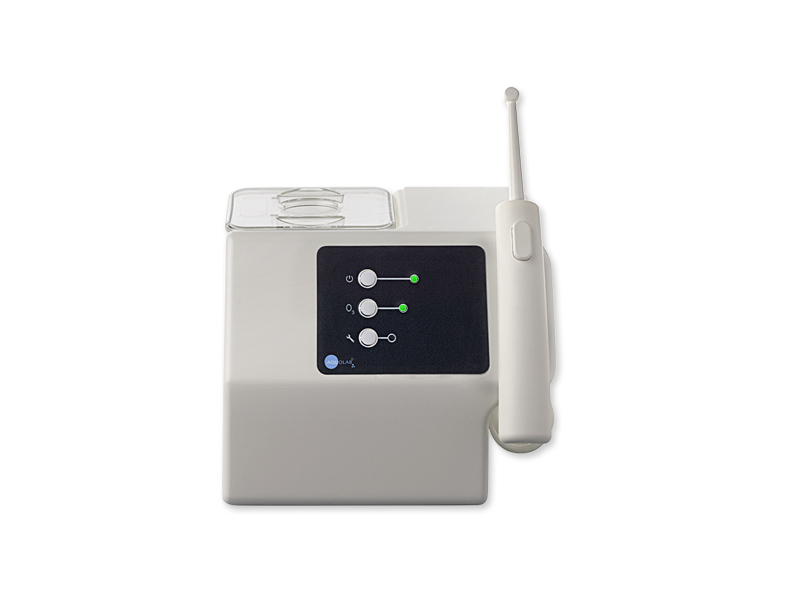 Ozone is tasteless and does not leave any residues. 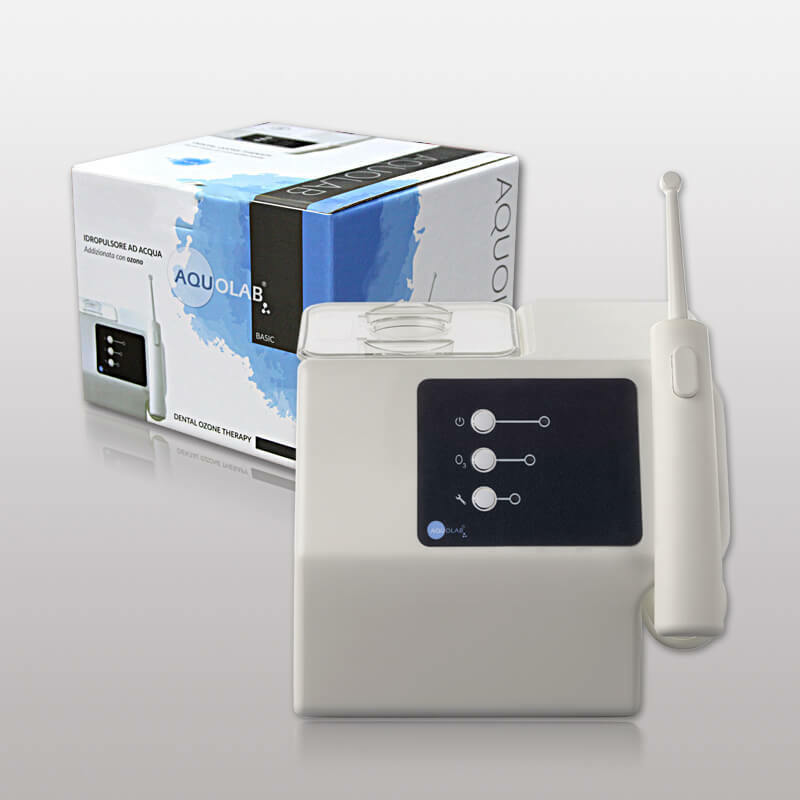 The use of Aquolab Basic is recommended in the absence of specific diseases, once or twice a day before the tooth brush. 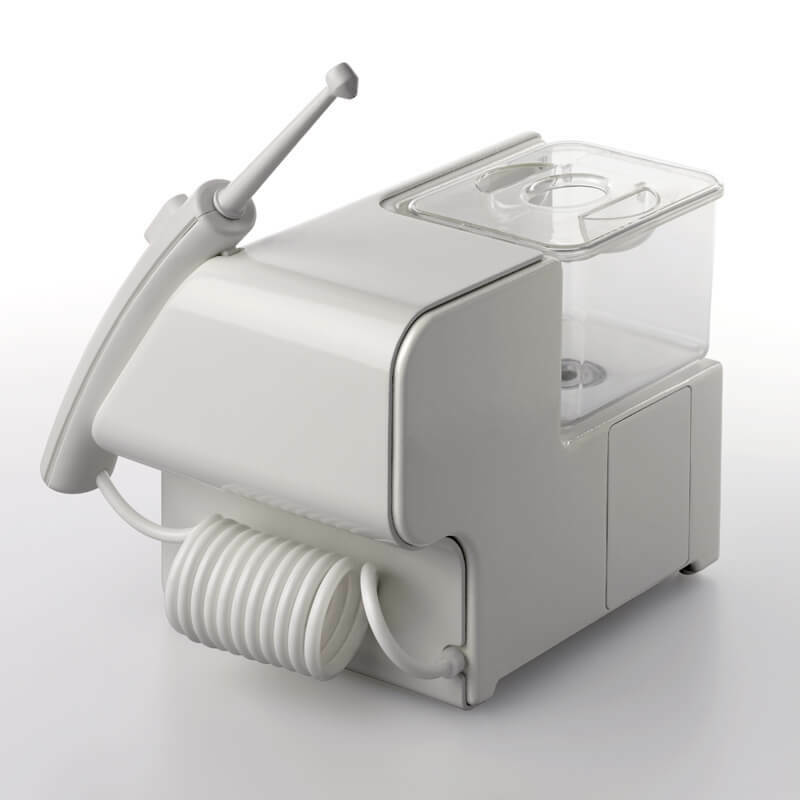 In case of specific diseases, follow your dentist’s instructions. 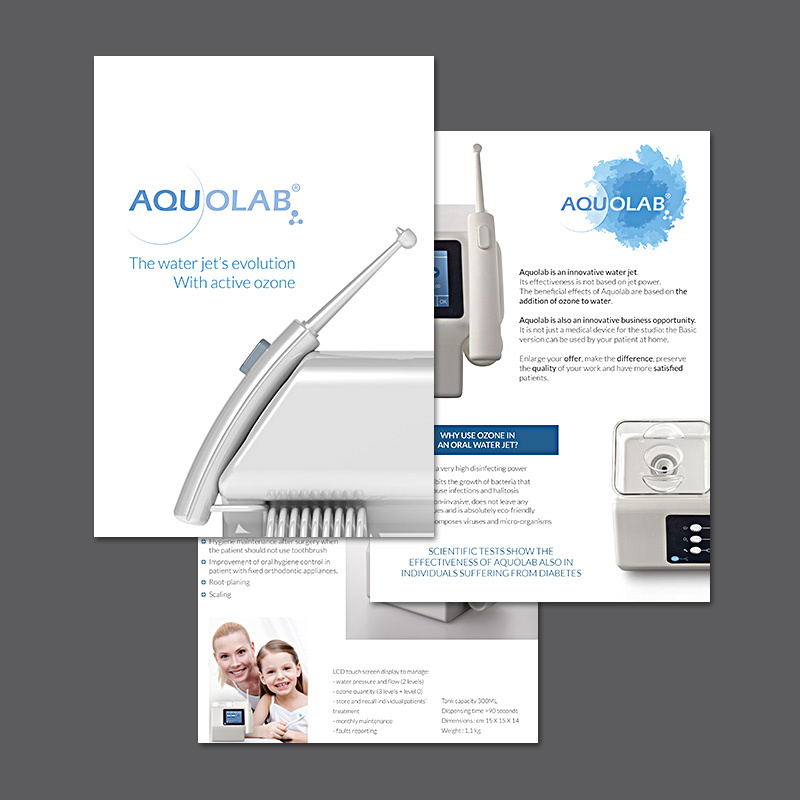 Aquolab Professional: for professional use in dental practices or demanding users at home.